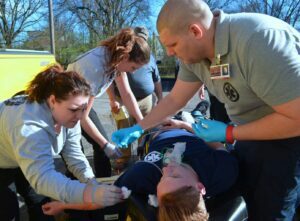 The Central Kentucky Paramedic Program is a partnership between Emergency Medical Training Professionals, Blue Grass Army Depot Fire Department, and Asbury University. This partnership has been formed to give paramedic students the best possible medical education. 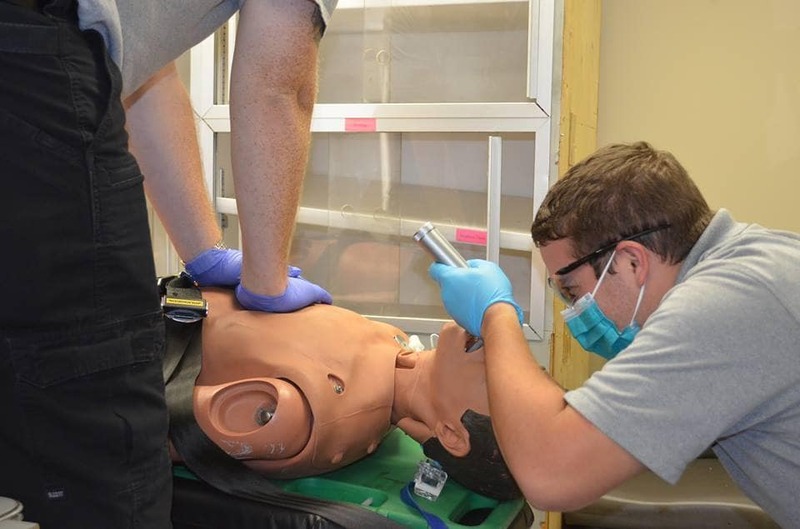 Paramedic students are strongly encouraged to simultaneously enroll at Asbury University in order to receive 24 college credit hours for this program. This course is the highest level of certification in the training of pre-hospital care professionals. This course is designed to train persons for the occupation of Paramedic. This training is geared for the advanced life support level. The paramedic program is designed to exceed the Kentucky Board of Emergency Medical Services (KBEMS) regulations and the National Registry of Emergency Medical Technicians (NREMT) standards. The paramedic program is aimed to prepare competent entry-level paramedics in the cognitive (knowledge), psychomotor (skills), and affective (behavior) learning domains. 1. Recognize the nature and seriousness of a patient’s illness/injury in order to accurately administer the proper emergency medical care on a EMT-Paramedic level of training. 2. Administer appropriate emergency care based on their training to stabilize the patient’s condition. 3. Lift, move, position, and otherwise handle the movement of the patient in such a way as to minimize further injury or illness. 4. Fulfill all written and practical objectives as required by the USDOT National Standards Curriculum. 5. Be eligible to take the National Registry of EMT’s Certification Examinations. learning units and each student must demonstrate proficiency in all units through punctuality, regular attendance, test scores, and cooperation with instructors and fellow students. We incorporate simulated patients to provide realistic learning opportunities for students. We understand that students going through this course have the added knowledge and experience since many already work in the field as an EMT. We practice our skills not only in the classroom but outdoors and in replicated situations to get practical experience. This fun and unique approach helps our program have one of the highest success rates for students! Phase One: Submission of Application, Driver’s License, CPR Certification, EMT certification, Proof of High School Education, and $35 non-refundable application fee. Phase Two: Knowledge Assessment and Interviews. Up to twenty students per class will be accepted into the program. Phase Three: Submission of remaining required documents and completion of payment agreement. The Central Kentucky Paramedic program is accredited by the Commission on Accreditation of Allied Health Education Programs (www.caahep.org) upon the recommendation of the Committee on Accreditation of Educational Programs for the Emergency Medical Services Professions (CoAEMSP).